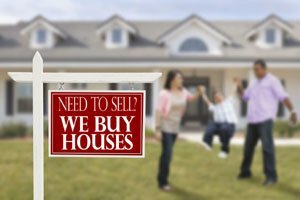 As someone who is trying to sell your home, you may find interest in those signs that claim to buy your home for cash. Does it work? How does it work? We buy houses companies have a process which helps people who want to sell their house quickly for a fair price, without worrying about paying any extra fees or paying two mortgages while you are trying to sell your home. Charleston SC House Buyers is a company that stands out for excellence, reputation and length of time in business- well over a decade. We work closely with our home sellers to ensure that they get a fair price for their home and the freedom to sell their house quickly without the risk of a traditional sale. These are not just claims that we have. When you read our we buy houses reviews and testimonials, you will notice the positive reputation of our company. For instance, one family had found a house of their dreams. The problem was that they were unable to sell their house, so they were worried that they were going to miss out on this new home. They contacted Charleston SC House Buyers to see if our company could help them quickly sell their house so that they could buy their dream home. Because of Charleston SC House Buyers, this family was able to close on their home quickly and buy their new home. Charleston SC House Buyers makes the process a lot easier than traditional methods of selling a home. You do not have to worry about commission and other fees that are associated with selling your home with an agent. You get an immediate cash offer without worrying about closing fees or long closing periods. You especially do not need to worry about getting an inspection and a deal falling through because your home has some issues with a retail home buyer’s inspection. Closings happen on whatever time frame you want and there is nothing for you to worry about. There is no easier way to sell your home than selling to a company willing to pay cash on the spot for your home. You no longer have to worry about the process of making time so that people can come into your home and walk around in it- and worse- critique it. You no longer have to worry about making repairs, staging your home, or repainting in neutral tones for people to find your home more appealing. That was the old way of trying to sell your home. But this is not your only option, especially if you are looking to get through this process quickly. We encourage you to look at our we buy houses reviews on the testimonials page of this website, and we look forward to working with you. If you are trying to sell your home and find that the conventional methods of selling are not working for you, consider working with a reputable, local We Buy Houses company like us. These options give you an easier way to get a fair and reasonable price for your home. You no longer have to worry about the stress that comes with the traditional way of selling your home. Just answer some questions to make sure that your house meets the criteria for this option and if it does, you can have cash in your hands as soon as 7 days after agreeing to sell your home.